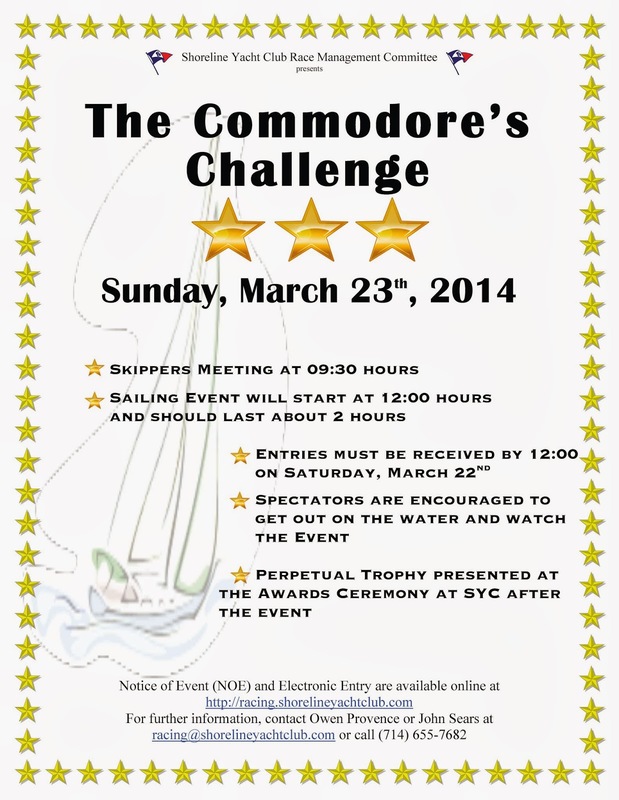 The 2014 Commodore's Challenge is a special event designed to get more SYC members to enjoy racing. There are two classes - a Rookie Class which is open only to members who have not raced their vessel in more than 2 regattas hosted by SYC in either 2012 or 2013 (with the exception of the 2013 Commodore's Challenge) and the Cal 20 Class which requires a minimum of one crew member who has not raced in a Cal 20 event hosted by Shoreline Yacht Club in 2013. Notice of Event and Entry Form link can be found on the Club Racing Tab above.